Fastbook Pacific Holidays all their destination travel brochures. During the mid-1980s he was President of the Wine and Food Appreciation Society of NSW (four years). TravelTV; producer, director, assistant camera man and script writer for two years. Current chairman of TICCA, the Travel Industry Curry Club of Australia. The only Australian travel communicator to win the Government of India's Tourism Association's "Golden Peacock Award" for a newspaper travel item on India. After a successful career in sports, Dallas Sherringham started out as a Daily Newspaper Sports Editor in a major regional publication. When ACP sold out to News Ltd Dallas became National Travel Editor for 120 newspapers nationwide. 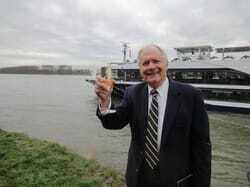 He visited more than 50 countries and undertook more than 50 cruises in that time. Dallas became a freelancer and his work appeared in all major national newspapers and travel magazines. Such was his standing in the travel media that he was contracted by P&O Cruises to write sponsored editorials nationwide. They now have a vision for WTF Media to become the nation’s leading supplier of travel features, photos and video for newspapers, magazines, web sites and bloggers. From a rock bottom start in journalism almost half-a-century ago when he was assigned to cover the local deaths and marriages for his hometown weekly newspaper, John Newton progressed to daily newspaper reporting in England before working as a freelance for the BBC’s radio team in Manchester. In 1971, he and his new wife decided to escape the bitterly cold English weather – from October to March – along with the early morning starting hours and driving an hour to work to head for the sun-drenched shores of Australia. His BBC background led to him getting a job at the ABC in Perth as a radio newsman. After a three-month stint at the ABC in Sydney as a sub-editor, he came back to Perth and continued reporting for ABC radio and television. In the mid-eighties, he was appointed chief-of-staff of ABC radio and TV before leaving ‘Aunty’ in late 1987 to become a freelance again and join a friend who had just set up a travel magazine. In the past 30 years, John has written travel stories for a host of magazines and newspapers in Asia and Australia on destinations around the world – including Asia, Europe, the United States and Canada, Scandinavia, South Africa and Russia. He also writes on aviation and has been a guest of Boeing in Seattle (twice) and Airbus in Toulouse, France (three times). 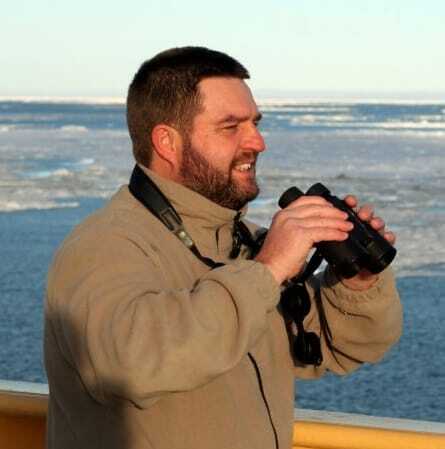 At present, he's features editor for Sydney-based Mature Traveller and Australian Cruise Magazine. A keen golfer with a handicap of nine before a back injury forced him off the fairways, John - a member of the International Travel Writers Alliance, a worldwide organisation based in the UK – has a penchant for fine food and wine whether he’s at home in Australia or travelling to glamorous destinations on land and sea around the globe. “Giant strides have been taken since the reporting on deaths many years ago when, as a young cadet journalist, I saw enough to put me off journalism for ever, including being invited into a house and seeing the feet of the deceased (a publican) hanging over the bottom of the bed! As you can imagine, I was out of there much quicker than I was going in”. A widely respected travel writer and videographer who has been reporting on travel and aviation since the 1970s when he joined Pan American World Airways in a senior executive role. His five years with the airline gave him a good insight into the world of travel. “When I got on my first Pan Am flight to New York as a young man, I was hooked on travel”, he said. He left to become a senior correspondent with the Channel 9 network in Sydney specialising in aviation and travel reporting. In 1981 he was posted by the network to Los Angeles as the network’s first U.S. correspondent, a prestigious position he held for five years. The job saw him covering major news events all across the USA and Canada, but he also filed destination stories on many of the U.S. cities he visited. On his return, he was named Travel Editor of Nine’s popular TODAY Show which saw him travel the world for nine years filing destination stories in the UK, Europe, Asia, and the America’s. 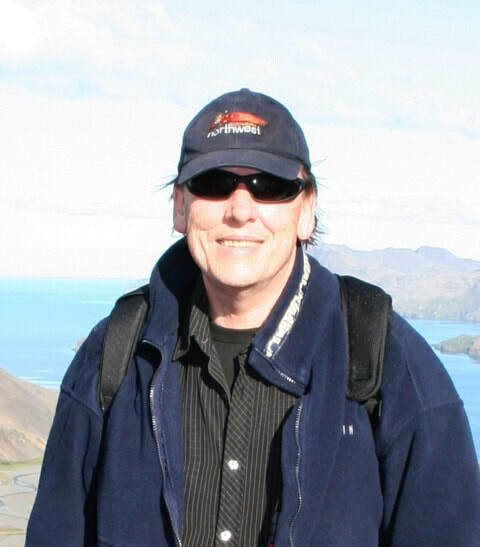 Barry also spent 10-years as senior producer of Seven Network’s The Great Outdoors, again travelling the world producing travel features for the program. 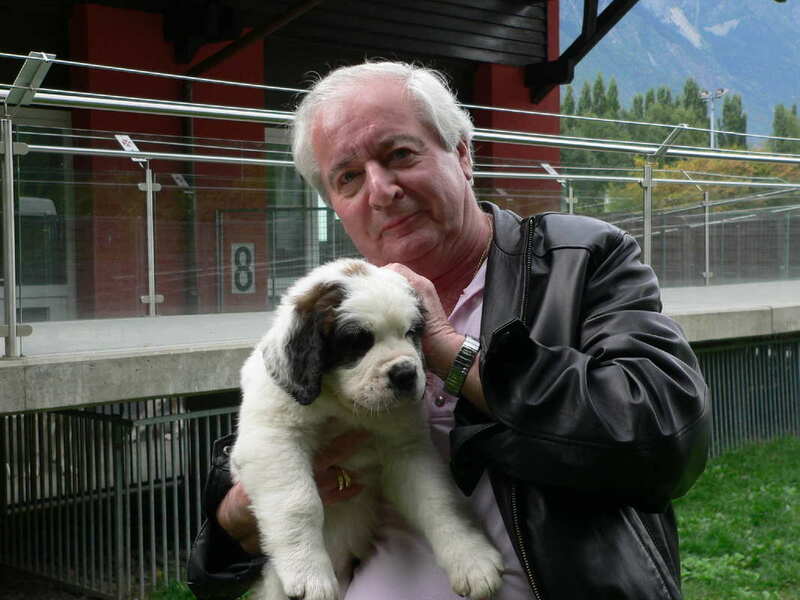 Barry is also an experienced cruise writer and has sailed and written stories on most of the major cruise lines. He has an excellent reputation in the travel industry which has been his life for 40-years. I’m sure my mother’s credo was “life’s a beach”. What happy memories of the steam train from Central Station to Austinmer on the NSW South Coast for annual holidays in the little flat at the back of the Brown’s house, early morning swims in the tidal baths, ‘frying’ in the sun after being slathered with olive oil and vinegar, cooling off in the surf, cashing-in soft drink bottles, slowly licking a chocolate heart so it would last longer, and doing it all again the next day. So what’s changed? Leaving school we got wrecked at Coolangatta, went on cruises to the South Pacific, rented houses at Terrigal and Tea Gardens and back to the Gold Coast … for a honeymoon! Ah, life is a beach … in Bali, Fiji, Hawaii, Thailand, Vietnam, Greece, Spain, of course Australia, and just for a change cultural, family and fun pursuits in England, Scotland, Wales, France, USA and New Zealand. Oh and Italy, Dubai and London in 2016. But it was Noosa’s charisma which finally inveigled Sydney’s manic corporate world and for over two decades it has cast a spell over the Noosaphile, her husband Tony, both proud Queenslanders. The creative Piscean, who abides by the motto Live Laugh Laugh, has an instinctive understanding about the glories of good food, wine and restaurants, the art of story-telling and a review, plus of course the joys of travel. “Life is not measured by the breath we take, but by the moments that take our breath away”. In 2016, Rod pulled off the coveted 2016 PATA Gold Award for Destination Journalism and was a runner-up for NTIA ‘Travel Writer of the Year’ in 2015. In 2013 Rod won a second award for Photographer of the Year with the ASTW following on from his first in 2011. In 2014 he won ‘Best Adventure Travel’ story and in 2011 he also won Best International story (over 1000 words). He has been a finalist every year since 2005 and has won previously in 2008 and 2006. David Ellis is an Australian travel writer and broadcaster, former print, radio and television journalist, and overseas foreign correspondent. He has been writing and broadcasting travel for over 35 years, having travelled to most points of the globe – by snowmobile to the Arctic Circle, by plane over the South Pole, and by air, sea, road and rail through much of Europe, Asia, Africa, North and South America, Canada and Alaska, and through the majority of the Pacific Islands. He includes amongst his more-memorable experiences travelling back with author James A Michener to where the novelist had 45 years earlier conceived and written his immortal Tales of the South Pacific, tracking down and interviewing Great Train Robber, Ronnie Biggs in Rio de Janeiro, finding and interviewing the original “Girl From Ipanema,” taking his children to meet Santa Claus on the Finnish Arctic Circle one Christmas, and flying out of France aboard the first experimental version of the supersonic Concorde airliner. David has been married to Gwenda for 53 years, is the father of three children Brad (who passed away in 2011 from cancer aged 43 years,) Kimberley and Steven, and grandfather to Abigail, Naomi, Hugo, Oliver, Henry, Sophia and Alexander. David also owned and operated one of Australia’s most successful travel industry Public Relations companies from 1979 to his retirement from PR in 2012. Len Rutledge has been travel writing for 40 years. ​During that time he has written thousands of newspaper articles, numerous magazine pieces, more than a thousand web reviews and around 40 travel guide books. 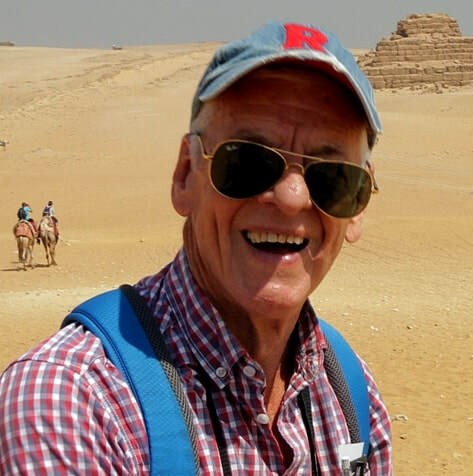 He has worked with Pelican Publishing, Viking Penguin, Berlitz, the Rough Guide, and the Nile Guide amongst others. Along the way he has started a newspaper, a travel magazine, a Visitor and TV Guide and completed a PhD in tourism. His travels have taken him to more than 100 countries and his writings have collected a PATA award, an ASEAN award, an IgoUgo Hall of Fame award and other recognition. He currently writes nine guides in the Experience series – Thailand, Norway, Ireland, Northern Italy, Myanmar, Singapore, India’s Golden Triangle, Istanbul and Melbourne – which are available as ebooks or paperbacks from www.amazon.com. John’s first major travel adventure involved hitchhiking from Sydney to India when he was 24. He enjoyed the experience so much that he’s been on the road ever since. John’s attempts to support his wanderlust led him to submit articles and photographs to newspapers in 1990. Since then his work has regularly appeared in over 40 major national and international newspapers and magazines and on numerous websites. John’s writing and photography was also selected for inclusion in anthologies such as Best Foot Forward (Lothian, 2006) and Snapshots of Sri Lanka (2012). John’s articles have ranged across budget, adventure, luxury and family travel as well as traditional and expedition cruising. He has travelled to both polar regions and over 60 countries in between, sharing tips and insights with readers in Australia and overseas. John is a member of the Australian Society of Travel Writers and has been elected to the society’s management committee three times. In 2010 he won an ASTW Travel Journalism Award for Excellence and he has been a finalist in several award categories on four other occasions. Along the way John has edited 37 books on a variety of topics and written the young adult fiction Streetwise (University of Queensland Press). Although he believes that travel is the best education, John also gained a Master of Arts with first class honours and a PhD in English from the University of Sydney.